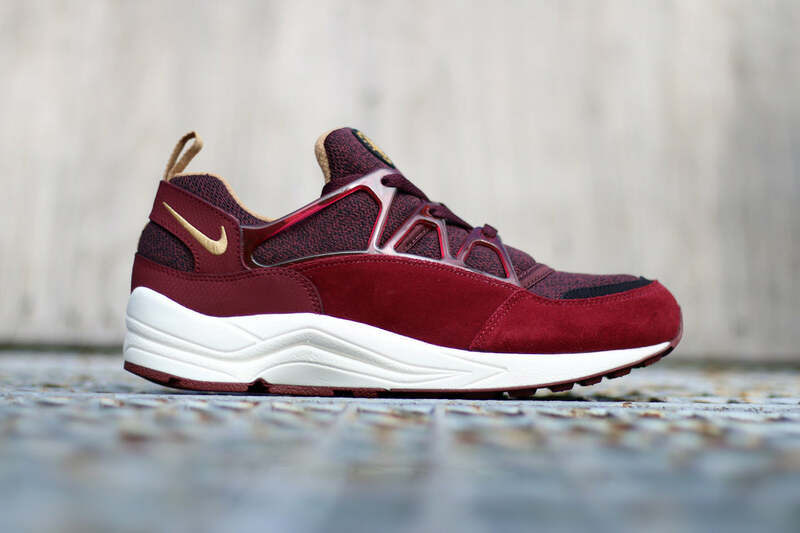 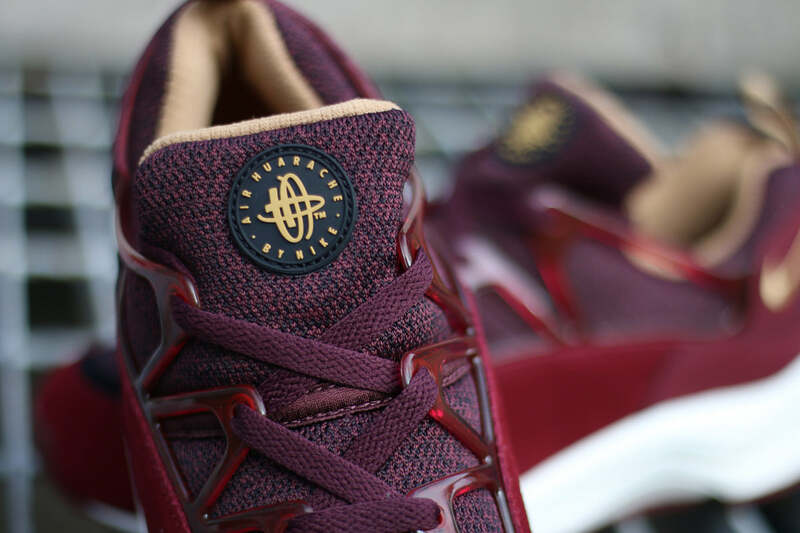 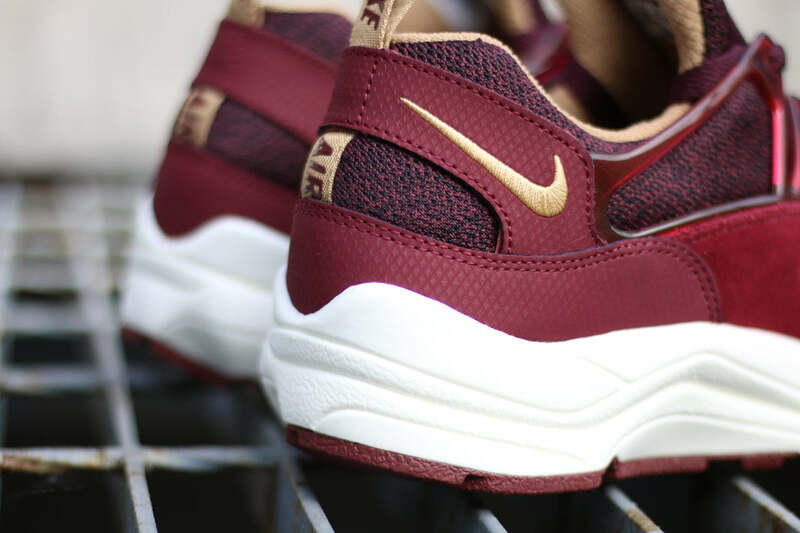 This deep burgundy edition of the Nike Air Huarache Light comprises of a burgundy and black mesh with burgundy suede overlays. 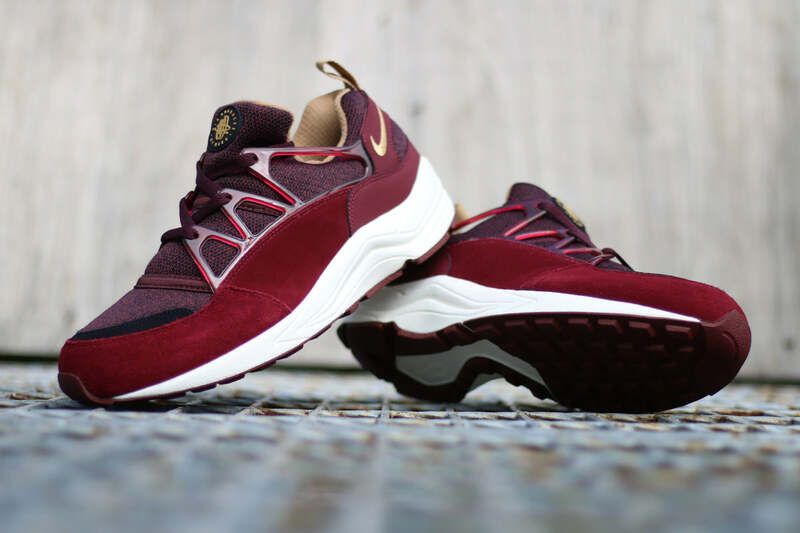 Accented with gold embroidered swoosh detailing on the heel and rubber Air Huarache tags on each tongue. 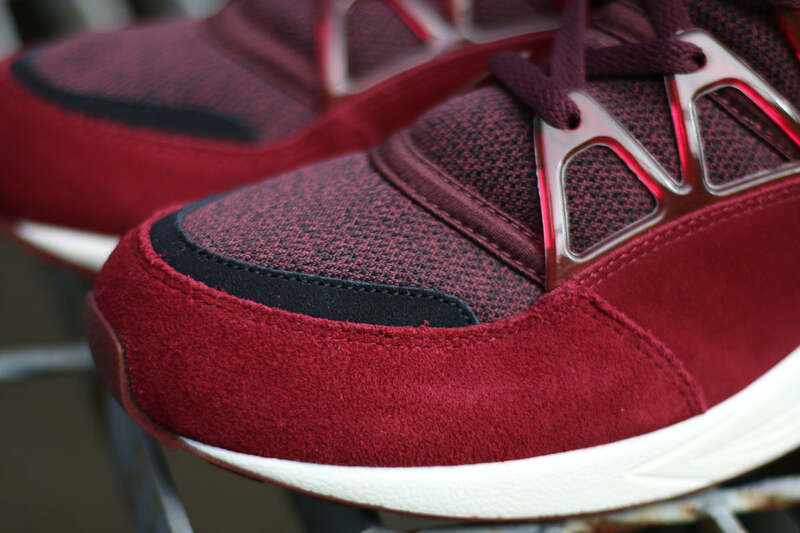 Offset against a contrasting white misole and burgundy outsole.